Sensors – Accelerometer ,proximity, gyro,compass, light. This device was launched in October 2015. BlackBerry Priv comes with a 5.40 inches touchscreen display and powered by 1.44 GHz Hexa Core Qualcomm Snapdragon 808 processor, 3 gigs DDR3 RAM and 32 gigs of internal memory that can be expanded up to 2 TB via microSD card. This device has 18 MP primary camera on the rear and a 2 MP front shooter for selfies. Priv runs Android OS 5.1.1 and this device powered by a 3410 mAh non-removable battery. 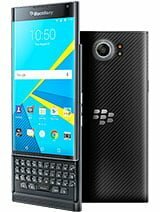 Blackberry Priv is available in Bangladesh and Price in Bangladesh 26,900/- BDT.